The B.C. government is hiring 36 new auxiliary sheriffs to help police the courts. 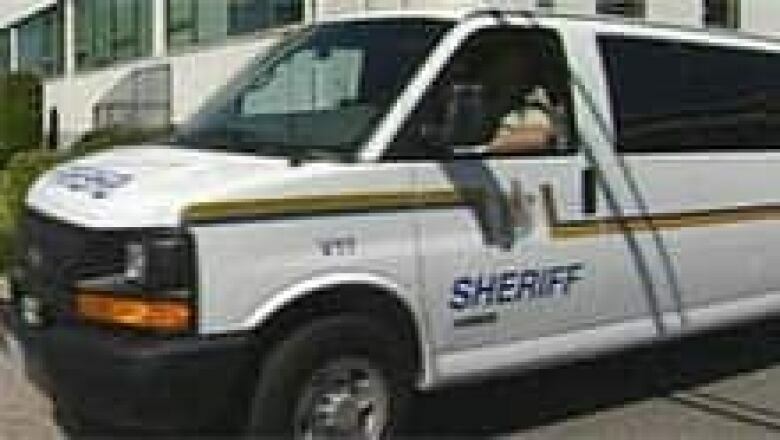 A sheriff transports prisoners in a van from the Nanaimo, B.C., courthouse. (CBC)The B.C. government is hiring 36 new auxiliary sheriffs to help police the courts. The move follows complaints that a shortage of judges and sheriffs was causing major delays in the justice system and resulting in court cases being tossed out. B.C. Government and Service Employees' Union President Darryl Walker has said the entire system has slowed to a crawl for the past couple of years because the government hasn't replaced vacant sheriff positions. Walker said the new hiring is a positive step, but the government still needs to replace more than 100 sheriffs who've left the service for higher-paying enforcement jobs. Last month, the government appointed five new provincial court judges, but critics said that did little to solve the problem of major delays in the court system. The additions brought the number of provincial court judges in B.C. to 130, but that's still more than a dozen fewer than in 2005.